Endodontics: From the greek Word Endo “Inside” and odon “Teeth”, Which is one of the major dental specialties that are recognized. It deals with the tooth pulp tissue inside the crown and root. 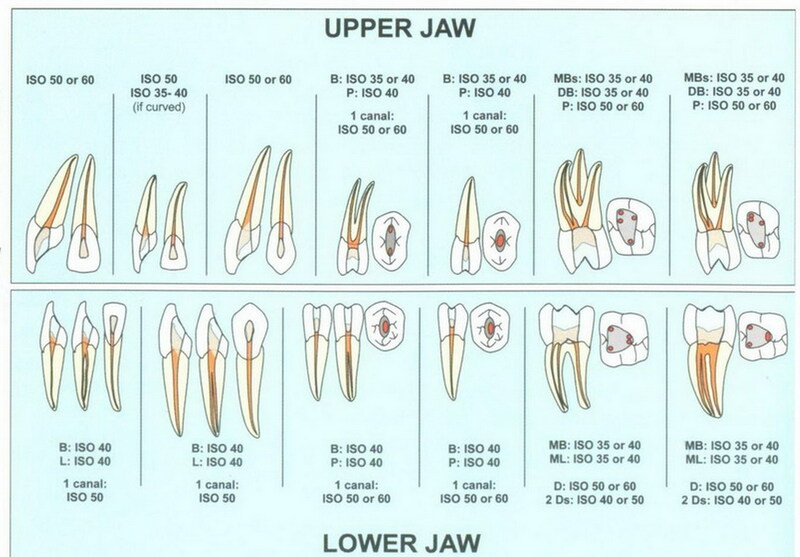 This Endodontic Chart is a Basic Scheme for those who need a quick revise on the Root Morphology. The Shape, location and type of tooth alters drastically the method root canal treatment is done, but with this basic scheme you can have a vague idea of the basic and proper shape the treatment will most likely be.